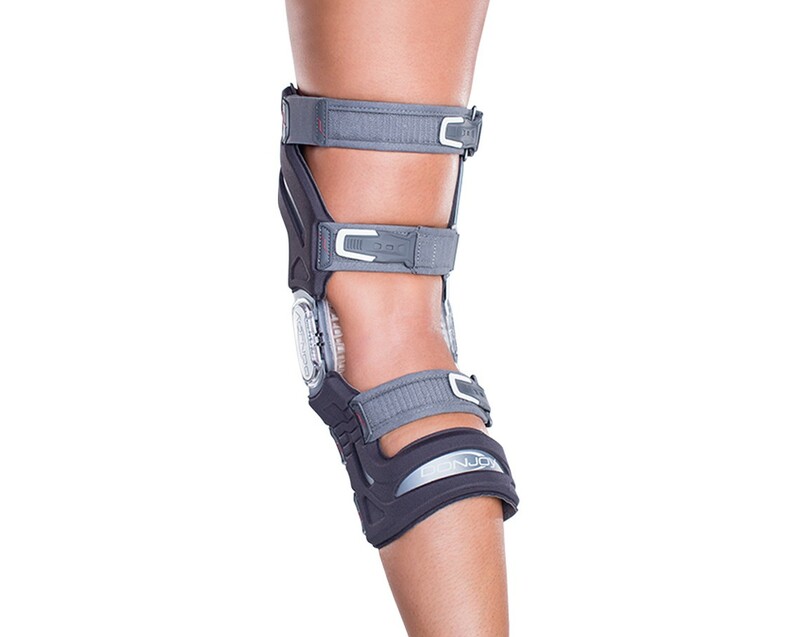 Lightweight and streamline, this custom knee brace offers the best ACL protection for non-contact sports. 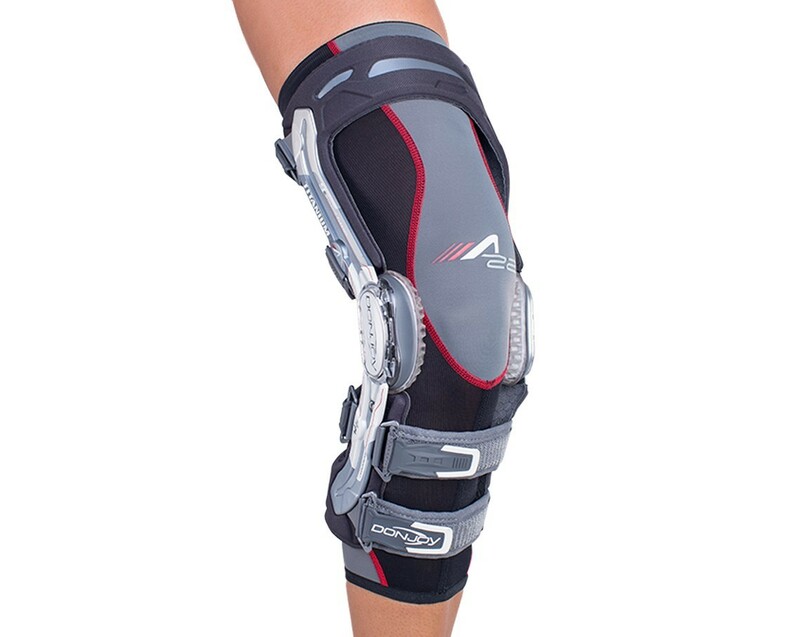 The DonJoy A22 Custom Knee Brace is ideal for non-contact sports and can be ideal for quarterbacks, wide receivers, defensive backs, and safeties because they don't encounter aggressive physical contact. 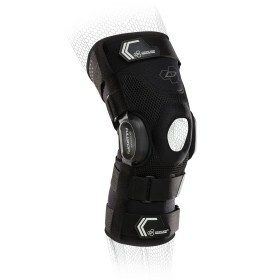 Linemen and athletes who encounter a great deal of contact may want to consider the DonJoy Defiance III Custom Knee Brace. 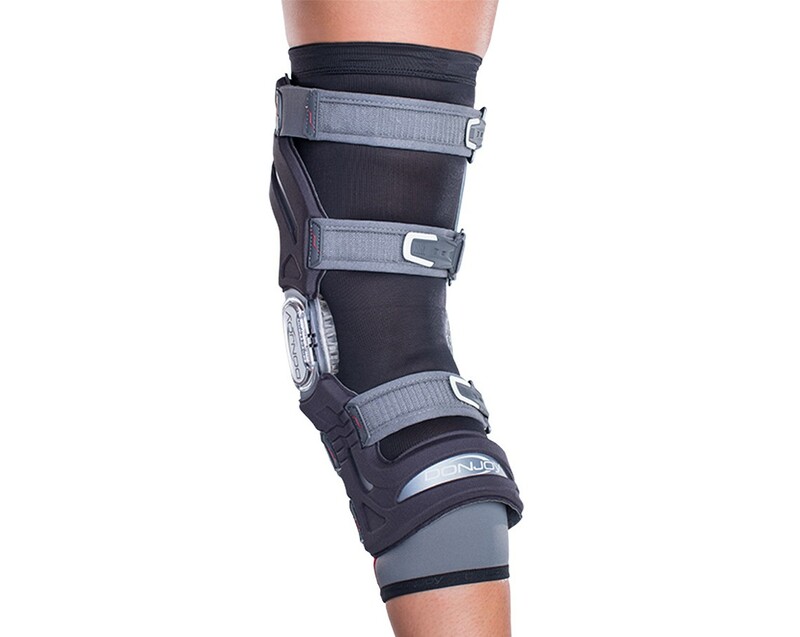 Note: The DonJoy A22 is a custom knee brace and therefore is not eligible for general returns or the 30-day moneyback guarantee. Remakes will be done for manufacturing defects free of charge. 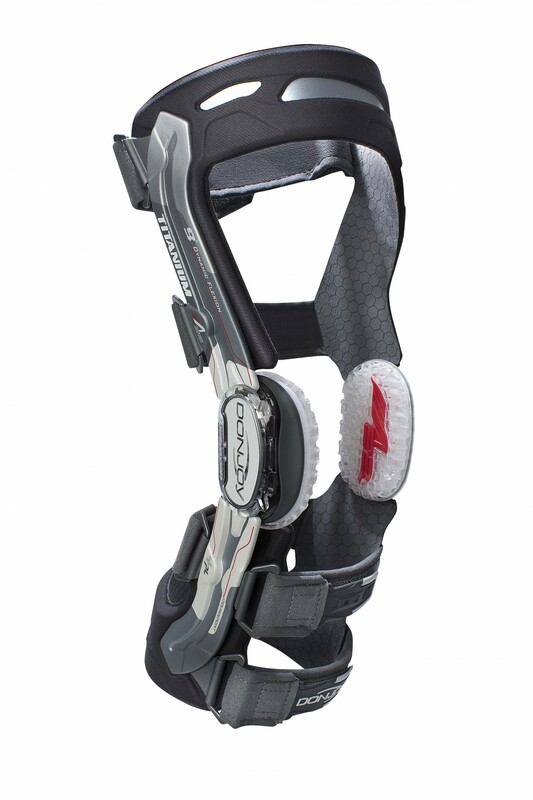 Fourcepoint Hinge Technology helps to reduce the amount of time your knee is in an "at-risk position"
WOW! 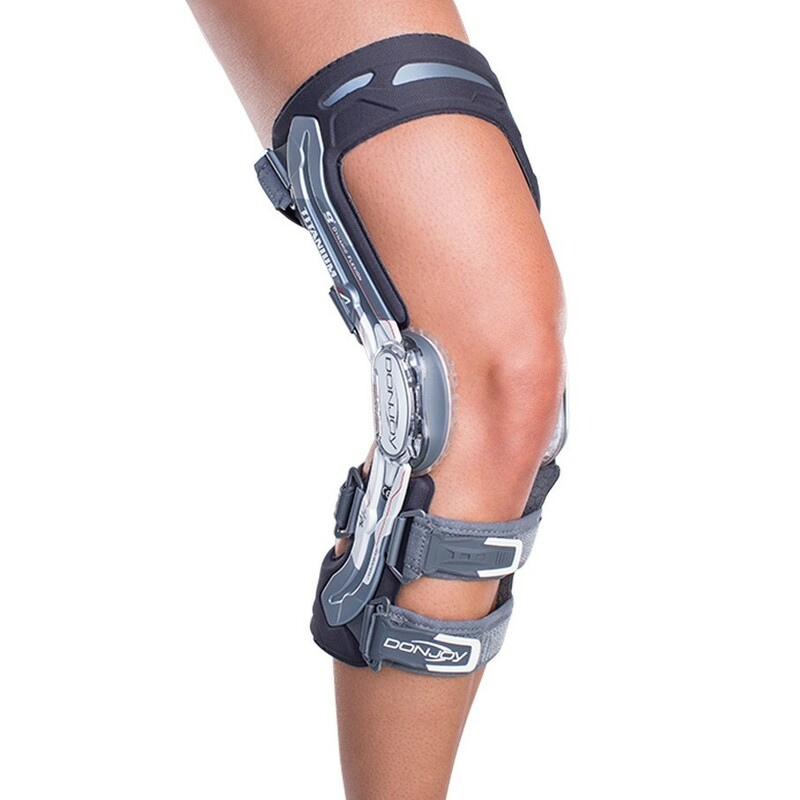 Okay "This is it" I am a disabled Veteran and been using the Defiance III braces on both left and right knee. 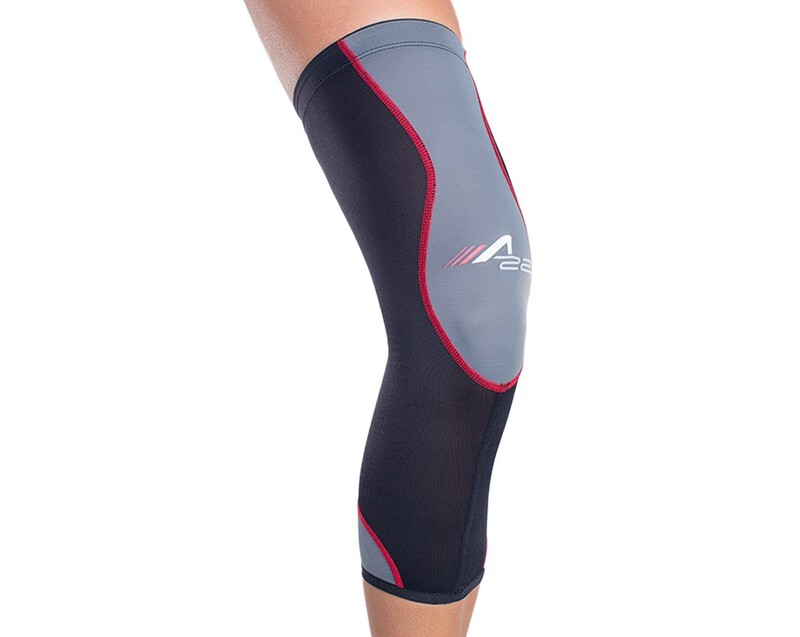 I now been wearing the A22's on left and right knee for support that I need. The custom fit of these are superb. 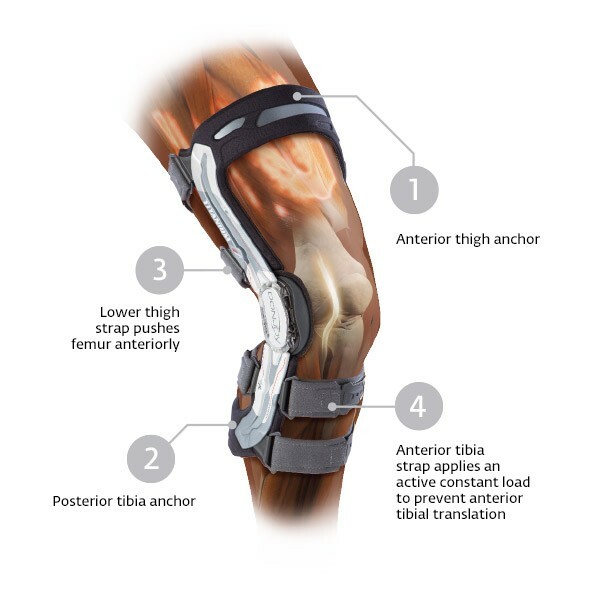 These fit like a glove using and titanium is strong just as you would think. They are light you can't even tell you have them on until you look at them. I do use the A22 sleeves that came with them so not sure how they feel with direct skin contact. They look nice and styling if your into that is great. I need these everyday and so far love them. At first it did take my legs some time to get use to the points of contact and irritation did come up but after 1 week I am now good. Donjoy has a winner here. 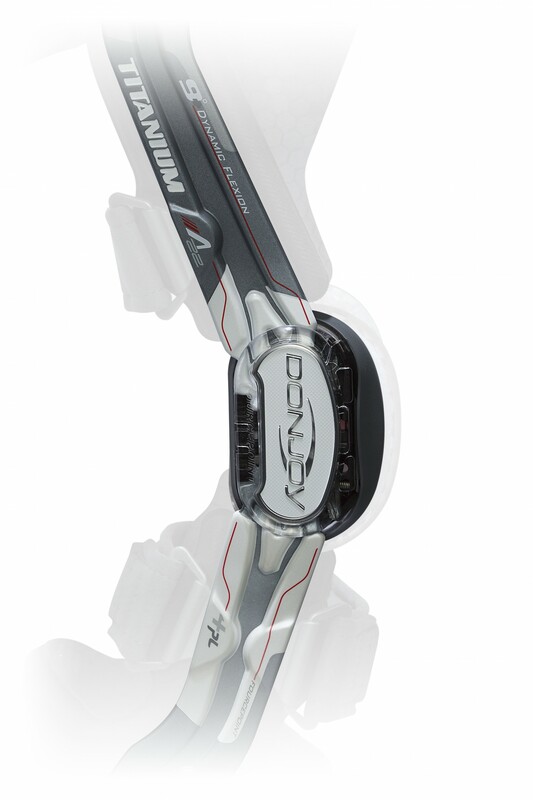 Pros: Lightweight, Titanium, excellent styling, cool color scheme, fit like a glove, sleek, fast, quiet. Ninja Status , excellent strap system. Cons: Just takes your leg a bit to get use to them. Break in time about 1 week.